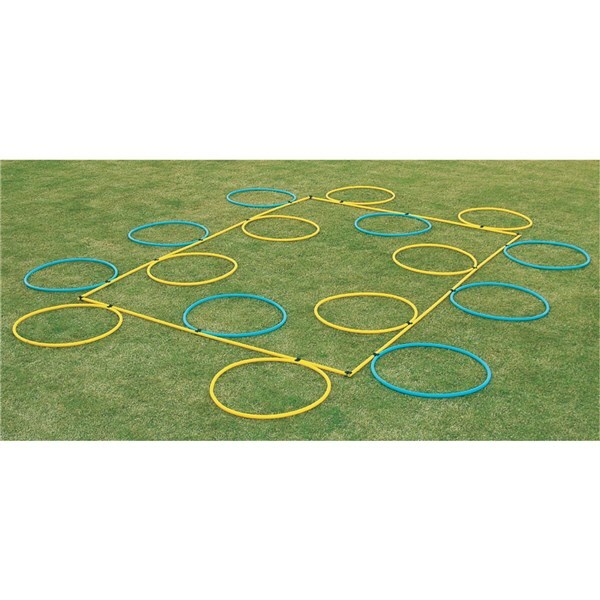 An ideal product for side step development and evasion. 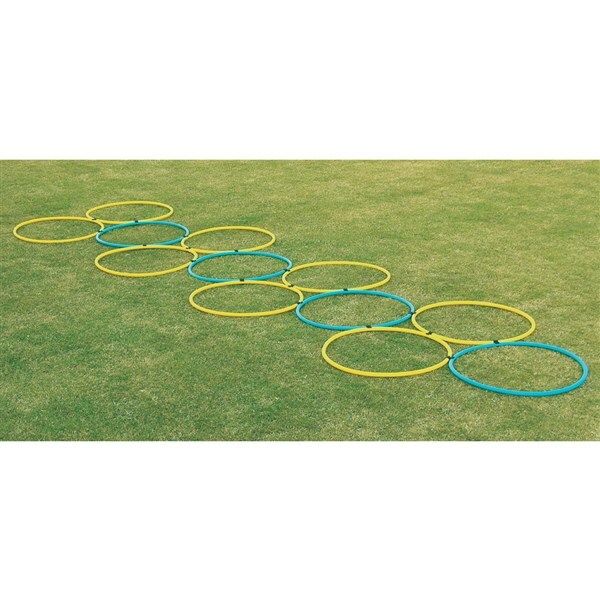 This set includes Poles to make a 200 cm x 250 cm Rectangle, 16 Hoops (8 Hoops of each colour), 6 jointer clips for poles and 20 Hoops clips. HP1824-S16P100 ...... ...... 1set without bag. HP1824-S16P100WB ...... ...... 1set with bag. 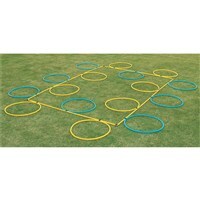 Another interesting and an ideal product for side step development and evasion. 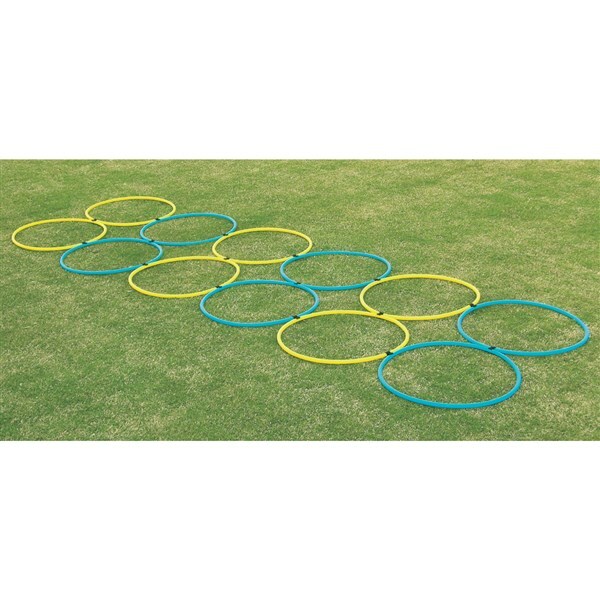 The benefit of this training equipment is that it is easily convertible from easy to complex by increasing or decreasing the gaps between hoops. 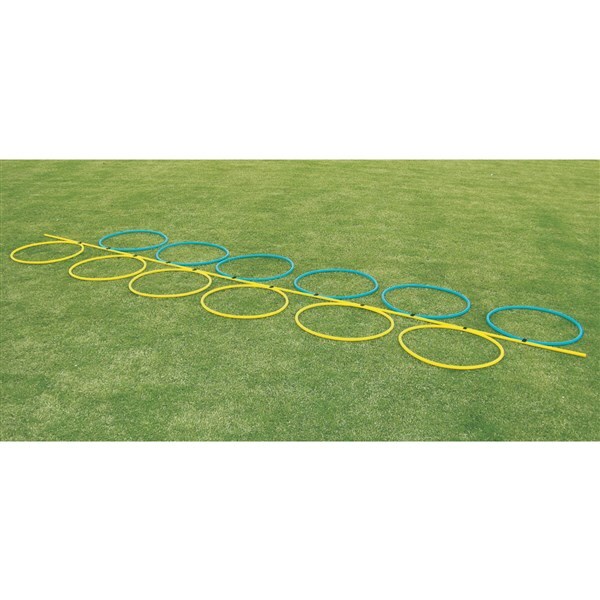 This set includes Poles to make a 250 cm straight length, 12 Hoops (6 Hoops of each colour), 4 jointer clips for poles and 15 Hoops clips. HP1824-S12P50 ...... ...... 1 set without bag. HP1824-S12P50WB ...... ...... 1 set with bag. Another interesting and an ideal product for side step development and evasion. 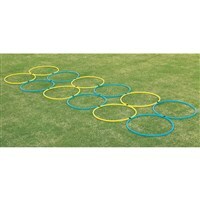 This set includes 12 Hoops (8 Hoops Yellow & 4 Hoops Blue) and 20 Hoops clips. HP1824-S12 ...... ...... 1 set without bag. HP1824-S12WB ...... ...... 1 set with bag. This is an economical, but yet an ideal product for side step development and evasion. 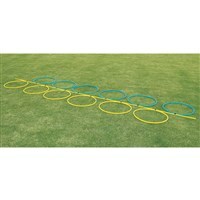 Hoops with the help of clips can be placed in a different position to make training more complex. 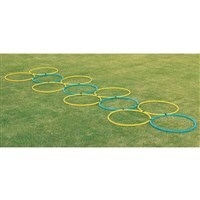 This set includes 12 Hoops (6 Hoops of each colour) and 20 Hoops clips. HP1824-6YB20C ...... ...... 1 set without bag. HP1824-6YB20CWB ...... ...... 1 set with bag.